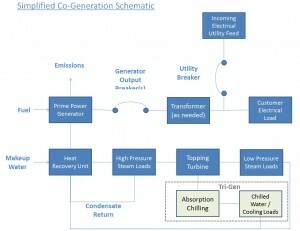 Cogeneration is the use of energy to produce both electricity and process steam. Anytime steam is produced, a certain amount of energy (from 30% to 60%) is given up in the form of waste heat. Cogeneration captures much of this wasted energy, which is used to produce electricity as a byproduct. 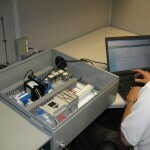 The resultant combined system can improve the overall energy efficiency substantially. 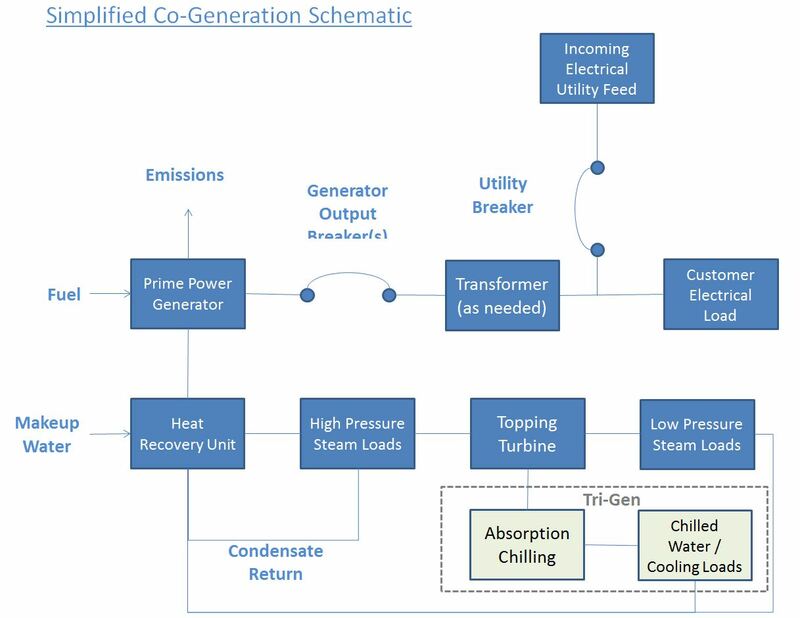 Trigeneration is similar but involves the added bonus of producing chilled water in addition to steam and electricity. Who doesn’t want the efficiency gain of converting energy on your own site and reducing your payments to the local utility? The energy efficiency of cogeneration is a move in the “green” direction. Is your organization looking to reduce its carbon foot print? Is it purely an economic play? Is reliability of the local utility problematic? Is there a good match between your electric and thermal loads? 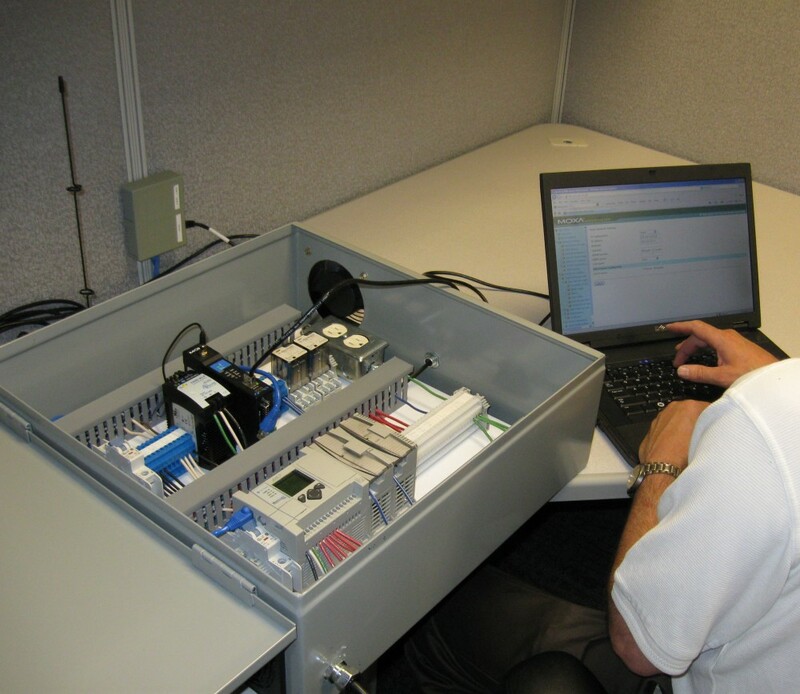 How much do your electric and thermal loads vary during the day and from season to season? What fuel source should you use? Are you prepared to deal with price volatility and delivery issues? Do you have adequate sources of primary and make up water? Should you consider a topping turbine cycle? 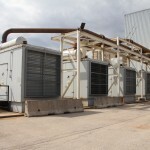 Do you have enough cooling needs and available thermal output to support trigeneration? Depending upon the expense of returning to the grid in the event of prime power generator maintenance or in-service failure, should standby generation be incorporated into the project design? If cogeneration looks like a fit for your project, contact IEA and one of our experts can guide you through the project screening and development processes. 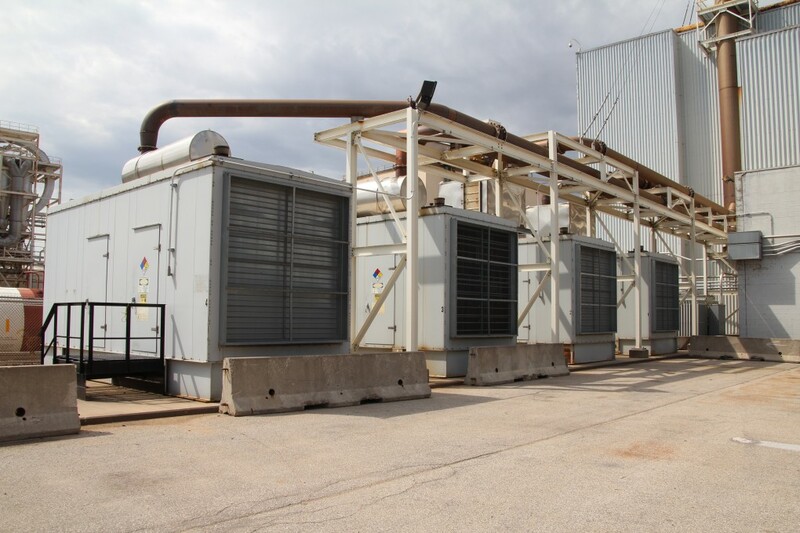 If cogeneration is a fit, IEA can own, operate and maintain these solutions on your behalf or provide turnkey solutions with follow-up asset management services to support ongoing operations and maintenance for installations owned directly by customers.